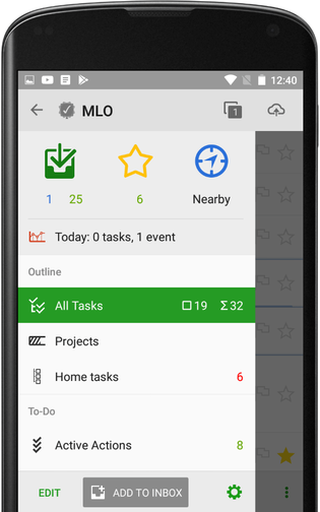 Options for tasks to count: All, completed, not completed, started or overdue. In the "Views" section go to "Counters"; Note: “Show Views Counters” is enabled by default. If it’s disabled, swipe or tap the toggle to turn it on. 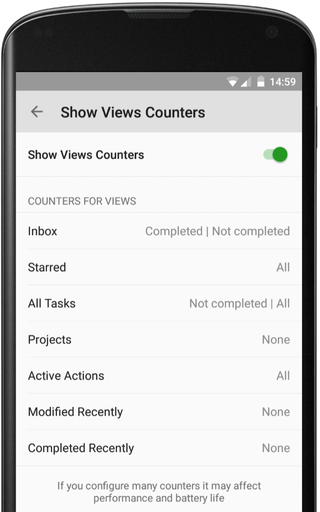 For example, for the “Inbox” view you may want to see two counters: the number of not completed tasks and the number of all tasks. 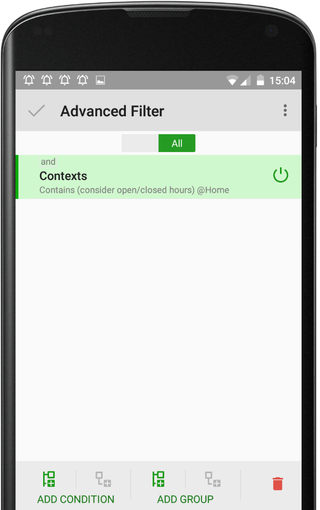 Create a view showing only tasks with @Home context. 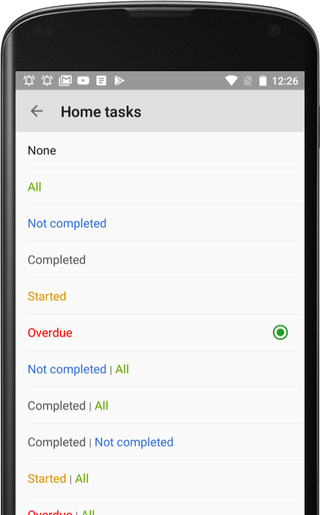 In our example we have 1 (out of 25) not completed task in Inbox and 6 overdue tasks marked with @Home at the moment. Thus, you can customize the counter system to your personal preferences.